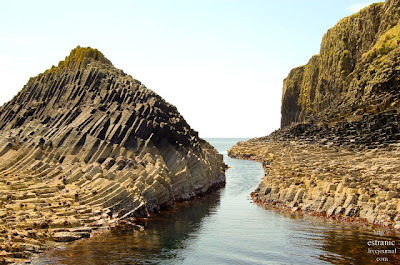 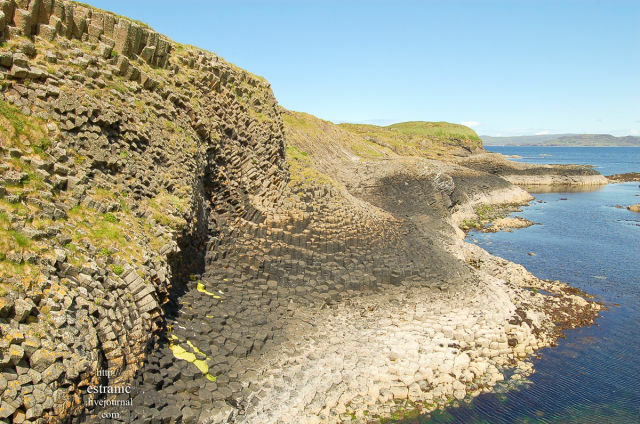 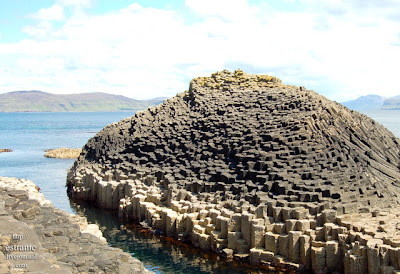 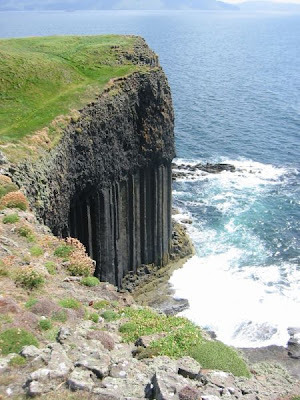 Staffa, a name for pillar island, is an island of the Inner Hebrides in Argyll and Bute, Scotland. The Vikings gave it this name as its columnar basalt reminded them of their houses, which were built from vertically placed tree-logs. 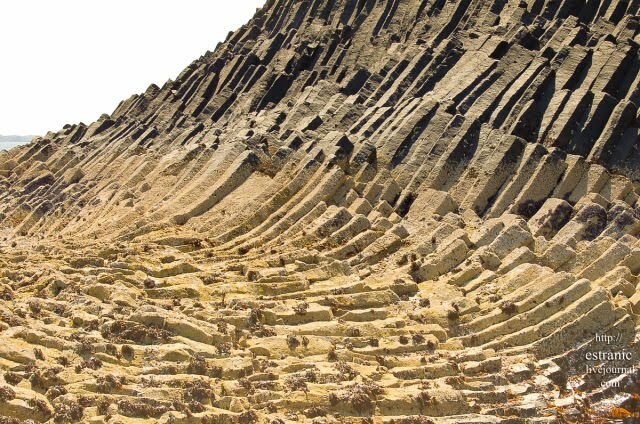 The island is entirely of volcanic origin. It lies about 10 kilometres (6.2 mi) west of the Isle of Mull. The area is 33 hectares (0.13 sq mi). Many famous personalities visited the island after it was discovered by Sir Joseph Banks in the 18 th century. 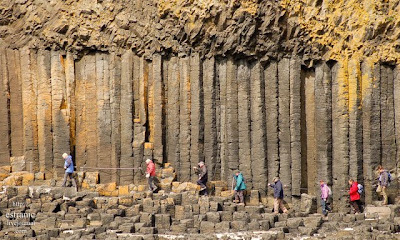 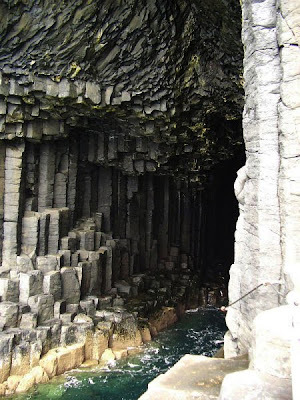 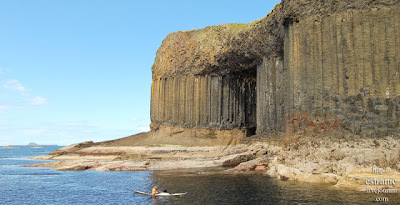 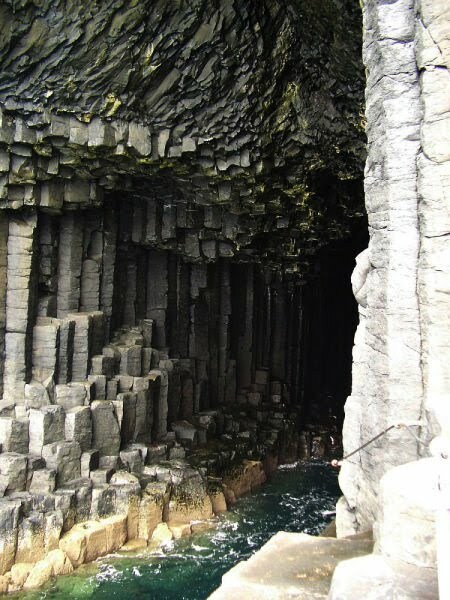 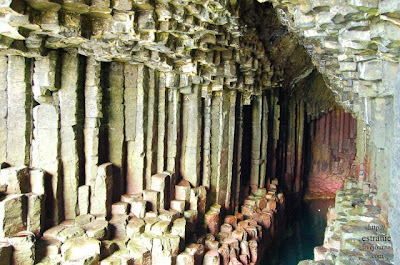 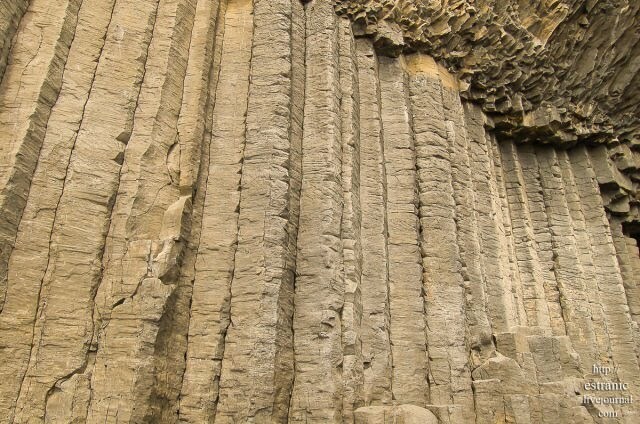 He was fascinated by the natural beauty of the basalt columns and its main sea cavern, which Banks re-named 'Fingal's Cave'. 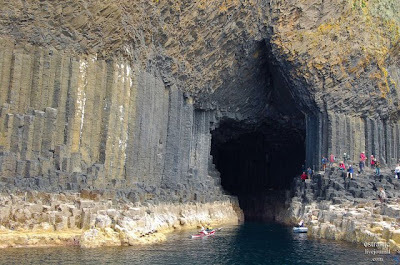 Among the prominent people who visited the island were Queen Victoria and Felix Mendelssohn, who later brought further fame to the island by writing the island very beautiful and gave a name to its main sea cavern during the 18th and 19th centuries. The island came to prominence in the late 18th century after a visit by Hebrides Overture opus 26. 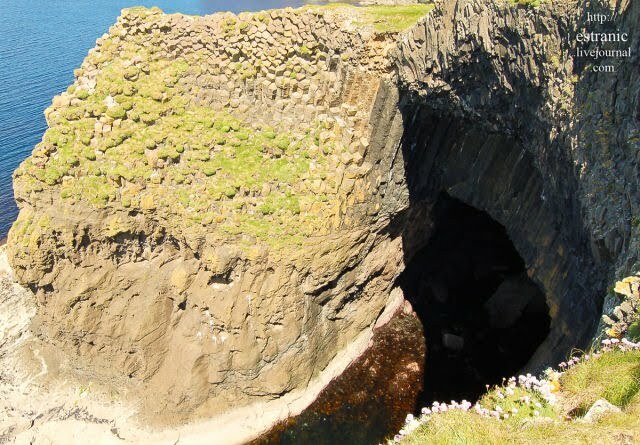 Only one family lived there in the 18th century, but deserted the island because of severere winter storms. 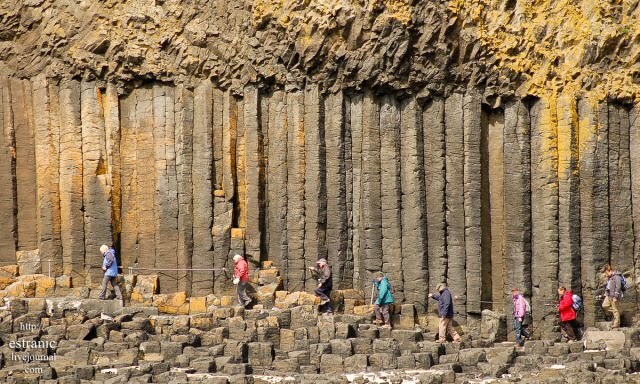 The island has been uninhabited for 2 centuries now. 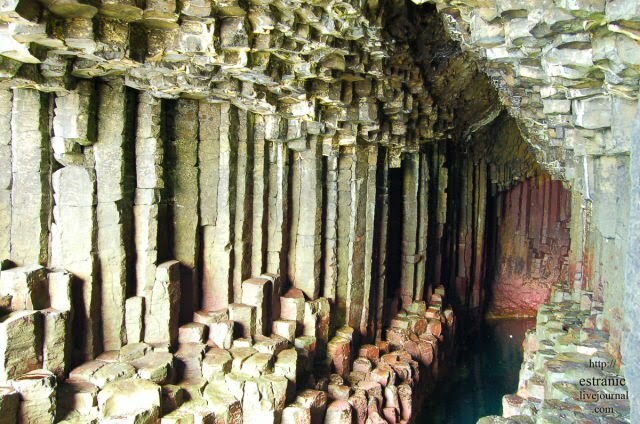 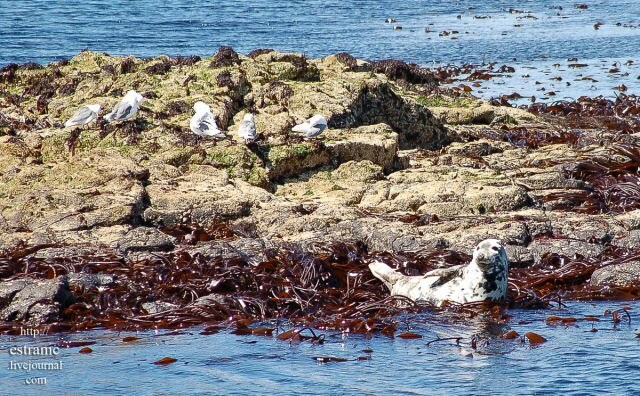 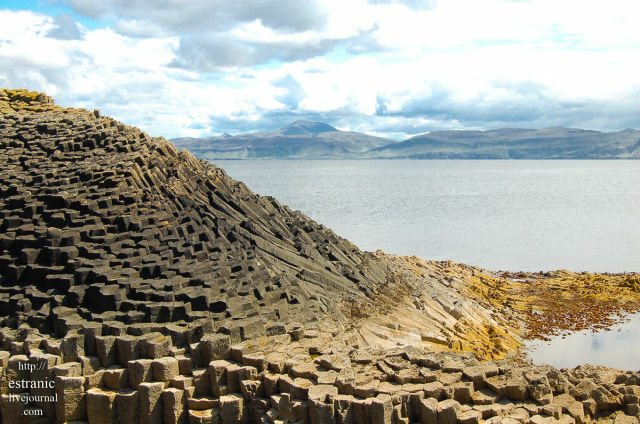 Staffa had several owners and eventually was gifted by an American owner Jock Elliot Jr. of New York in 1986 to the National Trust for Scotland. 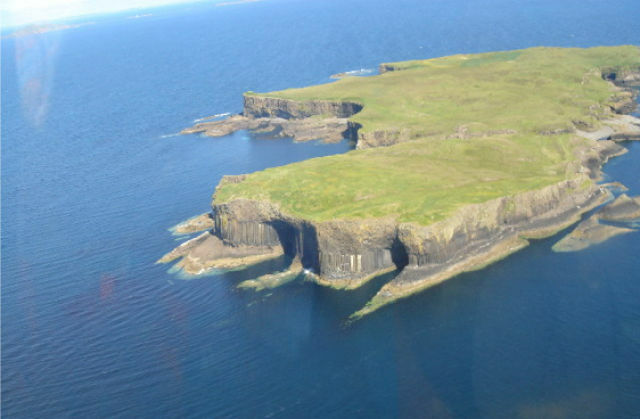 The interesting faxct is that in 1800 there were three Red Deer on the island, later replaced by goats and then a small herd of black cattle. 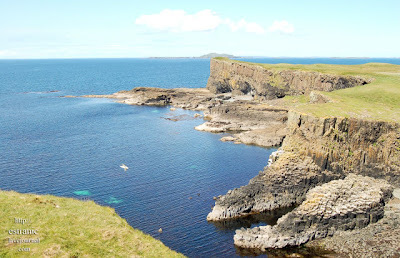 Subsequently the summer grazing was used for sheep by crofters from Iona but in 1997 all livestock was removed. This has led to a regeneration of the island's vegetation. 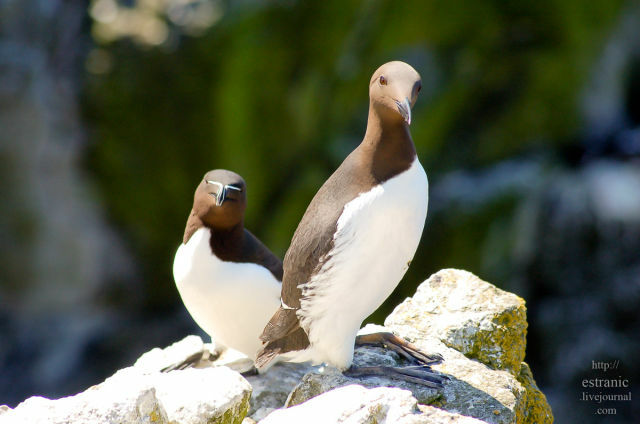 You can visit the island and view its caves and the puffins by boat from Oban, Dervaig on Mull, Fionnphort and Iona allow between May and September. 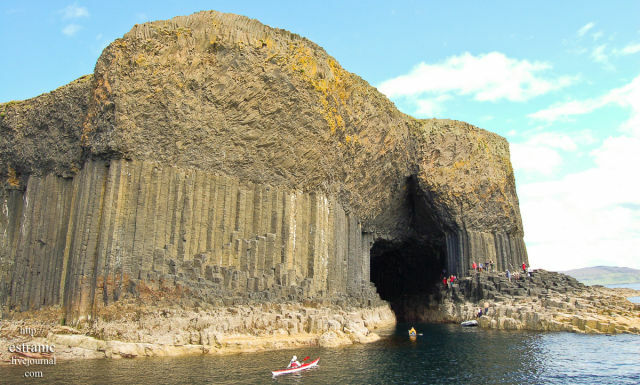 There is a landing place used by the tourist boats just north of Am Buachaille, but disembarkation is only possible in calm conditions. The island lacks a genuine anchorage.